Two of the University of Florida’s most impactful figures in sports were in the news over the past few days. Former Gator great and head coach Steve Spurrier will have Florida Field renamed in his honor. The announcement was made last Thursday by the school’s athletic directory, Jeremy Foley. Foley himself made news on Monday when he announced he was stepping down from the post he has held for the past 25 years. As Chadd Scott of Gridironnow.com wrote, the school wanted to honor the man who helped the school to its first national title in 1996 and the winningest coach in program history. The new name of the stadium will be Steve Spurrier-Florida Field at Ben Hill Griffin Stadium. Its previous name was Ben Hill Griffin Stadium at Florida Field. 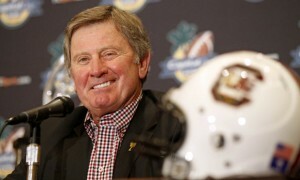 Spurrier became the first Florida player to win a Heisman Trophy when he beat out Bob Griese of Purdue in 1966. Spurrier assumed the role of head coach for his alma mater in 1990. For the next twelve seasons, he led Florida’s program to unprecedented success, including Florida’s first six Southeastern Conference (SEC) championships and first consensus national championship in 1996. His wide-open offensive scheme (nicknamed the “Fun ‘n’ Gun”) continued to produce points at Florida, and his squads and individual players set numerous Southeastern Conference (SEC) and school records. In 1996, Spurrier became the first Heisman Trophy winner to coach a Heisman Trophy winner when Florida quarterback Danny Wuerffel won the award. The news about Foley has come as a shock to some of Gator Nation. He will leave the post in October, according to Gridironnow.com. While on the job over the past 25 years as athletic director, Foley has seen the university excel in all sports on campus. Florida has won the SEC All-Sports Trophy in 24 of Foley’s 25 years, and the Gators won 27 national titles during Foley’s tenure; the school had won nine national championships (in five sports) before Foley took over as AD. Foley is the only AD in Division I history whose programs won multiple national championships in football (1996, 2006, 2008) and men’s basketball (2006, 2007). 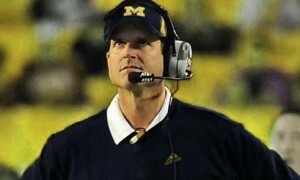 Most notably, both Billy Donovan and Urban Meyer were hired by Foley during his tenure. Foley, who replaced Bill Arnsparger in the same capacity back in 1992, is expected to remain active with the sports department, working in an emeritus role which is part of his contract agreement with the university. There is no word yet as to who might replace him in this post. Foley, 63, has been at Florida since 1976. 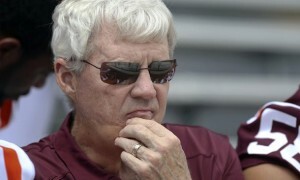 He is currently the second longest tenured athletic director in the country. He has been instrumental in two ongoing projects taking place currently on campus – the renovation of the O’Connell Center and building of the Hawkins Center for academics – are currently underway. The $25 million Hawkins Center is scheduled to open later this month.